Leeuwenbosch offers stylish Eastern Cape accommodation on the Amakhala Game Reserve. 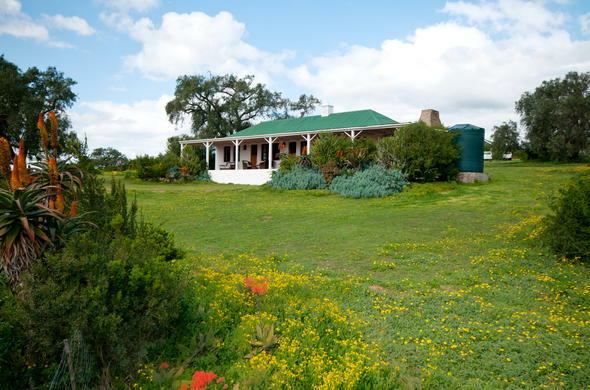 Leeuwenbosch offers elegant Eastern Cape accommodation in the stylish country house and classic Shearers Lodge. Leeuwenbosch Country House is set in its own lovely garden, offering guests a truly unique country experience. The house comprises of 5 spacious en-suite bedrooms and guests will enjoy relaxing in the tranquil atmosphere of the old 1832 cellar pub where you can partake in a quiet game of billiards on the full size antique table. Guests will be hosted by the Fowlds family who will provide genuine Eastern Cape accommodation hospitality. Leeuwenbosch is a very family orientated lodge as it has been in the Fowlds family since 1873.